Our Photobooth is a Model 22 booth which has come all the way from Estonia. It was originally built in the UK by Photo-Me, and has finally come home after many years of life in the Eastern Bloc. Over the last couple of years we have given it much love and attention, and restored it to its former glory. 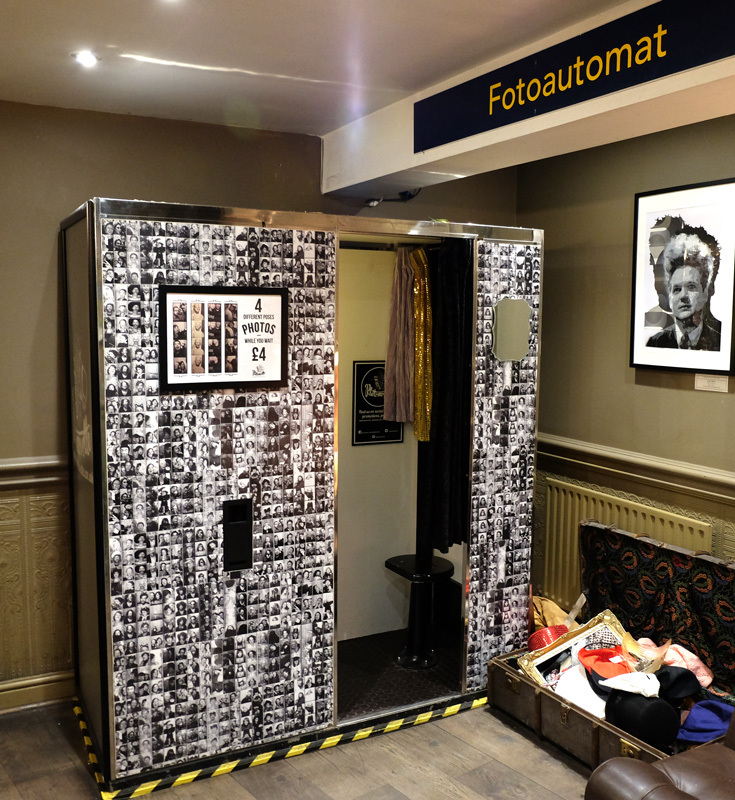 Our Photobooth is currently located at The Orange Tree, 38 Shakespeare Street, Nottingham, NG1 4PQ. Photos cost £4 per strip. There is a dressing up box too to add some extra fun to the experience. Come with your friends, have a few drinks, some photos and a whole lot of fun!